i> Away With The Fairies. 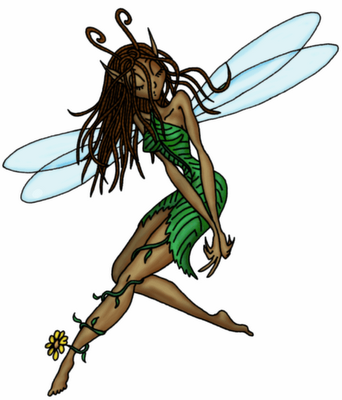 : Do you believe in fairies? A relative of mine used to enjoy a drink. She often lost all memory of the later half of the evening. Waking, after entertaining the previous night, she would dread the thought of having to clear the consequent mess. Very often she would stumble about the house to find all dishes washed and put away, furniture straightend and the Hoover recently deployed. She attributed this phenomenon to the 'Booze fairies'. She was "dancing with the green fairy." I am not certain if it was 'luck' that kept me from blacking out. But, I never forgot a damn stupid thing I did or SAID while under the influence. Yes, i've seen that pesky green fairy on many occasions. Damn, send some of those suckers my way! Lawd knows I could use them! I'm with Awaiting - I need those Booze Fairies. MJ- She might have been better of if she was. More like some cheep supermarket gut rot Soave. ~d- I'm not sure if it's best to remember or not. You only need include lesbians, donkeys and beer for male hetro readers. We wouldn't want you to compromise your subtlety. Lady Muck- I'm sure you'd like the Lilly Allen "we spent the weekend sitting in our own dirt" thing. Turboslut- I only found out about the green fairy whilst trying to find an illustration to go with this text. I've no idea what it tastes like. Awaiting- Visits are only bestowed apon functioning alcoholics with a tidy mind. You need to work on the alcoholic part to qualify. Snooze- I refer you to the previous answer. Mutleythedog- Booze Goblins! I feel like scales have fallen from my eyes. So much is now clear to me. I could use a few of those, too! Too funny.